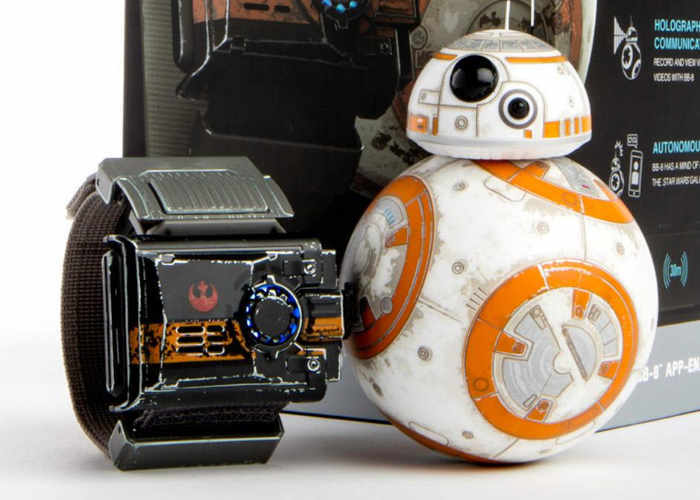 If you are the lucky owner of a Star Wars Force Band by Sphero normally used to control the companies Star Wars robot BB-8. You might be interested in some new IFTTT recipes which have been created to help with a little home automation. Check out the video below to learn more about the new Force Band home automation capabilities, thanks to the power of the awesome IFTTT service, which is available to create a wide variety of different scripts and triggers for home automation and more. The Force is strong with you. Channel it with the Star Wars Force Band by Sphero. Like a Jedi Knight, you can control your BB-8 App-Enabled Droid with just a wave of your hand and play in new ways. Expand your Jedi powers to the world around you. Control connected objects by using the Force Band and IFTTT. The possibilities of the Force are endless. For more information on the latest IFTTT recipes which have been created by Sphero for their Star Wars Force Band jump over to the official IFTTT website by following the link below.